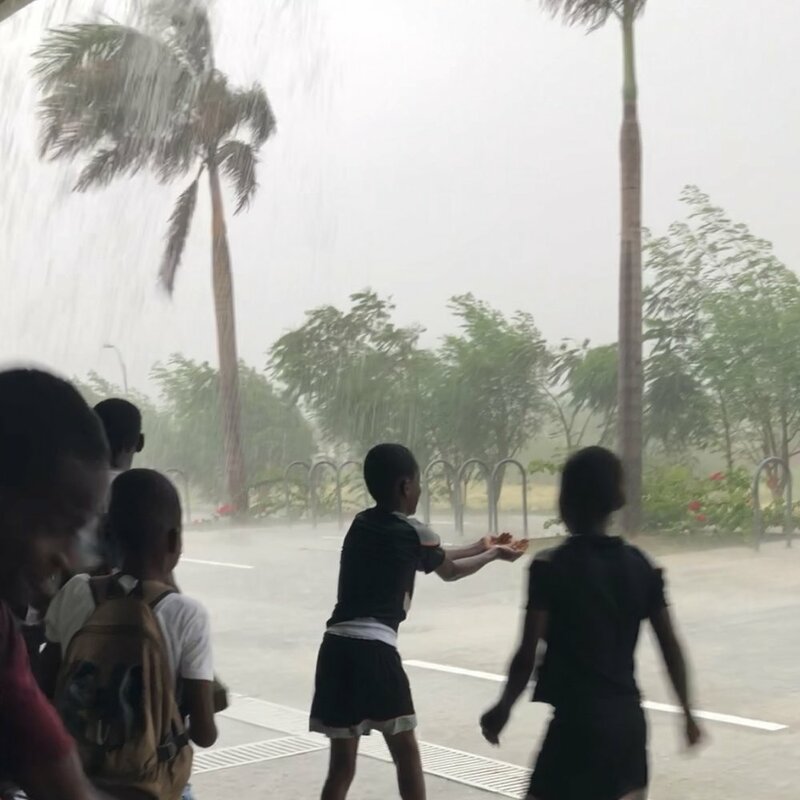 Every week on the Haitian Christian Mission campus, youth are connecting with each other and with Christian mentors around the games of soccer and basketball through the Play It Forward sports program. Earlier this month, four guys from Oregon had the opportunity to take part in that program, both teaching and learning as they went along. 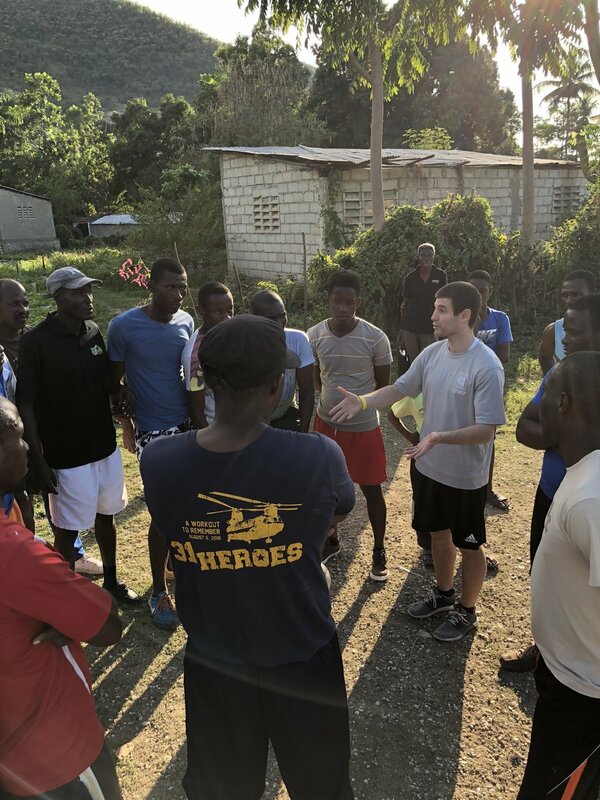 Levi Wilson and Ben Comstock along with Levi's son Cameron and Ben's son Droiy traveled down to Haiti with the intention of helping train basketball coaches and lead basketball camp. While there, they learned that the week was about much more than basketball. 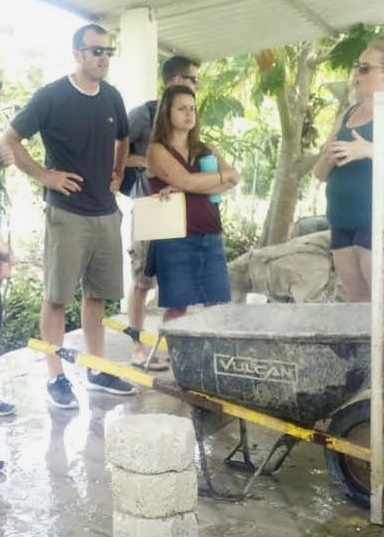 Each day they met with about 30 coaches on the porch of the Haitian Christian Mission guesthouse. Thonny Fabien, director of Play It Forward, started off each session with 1-2 hours of leadership training, a key element of his program. After that, Ben and Levi had the opportunity to train the coaches for a few hours both at their desks and on the court. One day they spent several hours teaching about calls and refereeing. Then each afternoon they had around 20 Play It Forward players come for basketball camp. During the camp, many of the coaches jumped in and helped with the kids. Ben and Levi took down 100 reversible blue and white jerseys for the coaches to use in their programs. They make it easy to form two teams and start a game. They were also able to take down 60 pairs of donated basketball shoes, including 30 brand new pairs donated by Nike. These shoes will belong to Play It Forward and the staff will distribute them to all players before games. That way, students eager to improve as players will always have shoes to wear on the court. The team also brought down 50 basketballs that were distributed to the coaches. "Coaching and playing basketball was a lot of fun for the kids, for the coaches, and for us," Ben explains, "but this week was about much more than basketball. 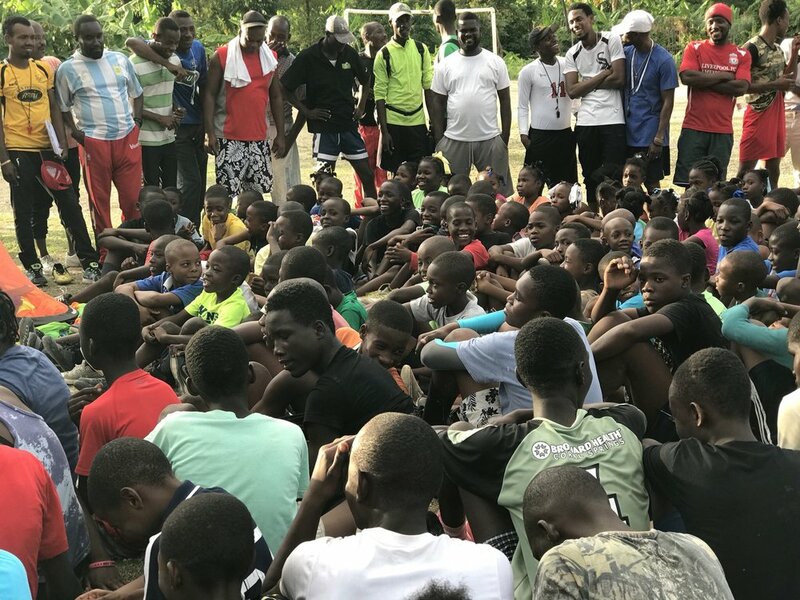 It was about creating relationships and equipping the Haitian coaches with the leadership skills needed to make an impact with kids back in their own communities." Ben and Levi got to see firsthand just what the purpose of Play It Forward is. "Thonny is doing amazing work with the kids and coaches. It is evident that he is loved and respected by everyone that he is in contact with," Ben shares. Levi adds, "He commands respect from every Haitian I saw him interact with. He is extremely genuine, intelligent, and focused without having any air of self-absorption. This is one of the highest caliber men I've met in my life." 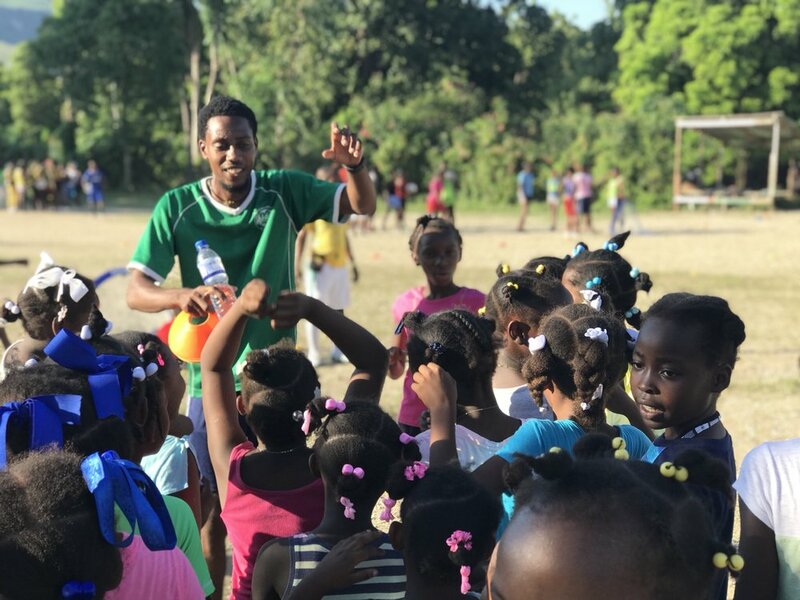 The Play It Forward program has already had a positive impact in Haiti and that will continue behind leaders like Thonny. You are helping make this possible through partnering with Project Living Hope.